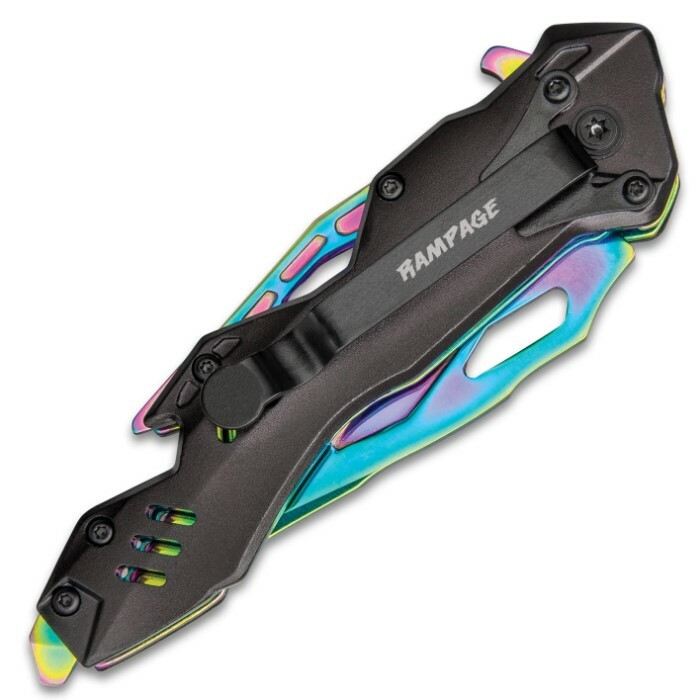 Rampage Rainbow Atomica Assisted Opening Pocket Knife - Stainless Steel Blade, Aluminum Handle, Bottle Opener, Pocket Clip - Closed 4 3/4” | BUDK.com - Knives & Swords At The Lowest Prices! 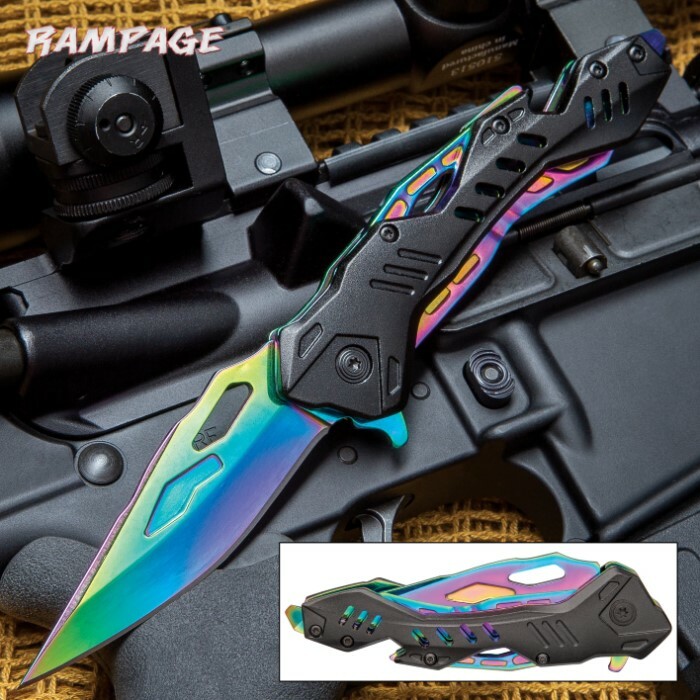 This knife is very well built. The assist is fast, the blade is sharp, and there is no blade play. It comes decently sharp. 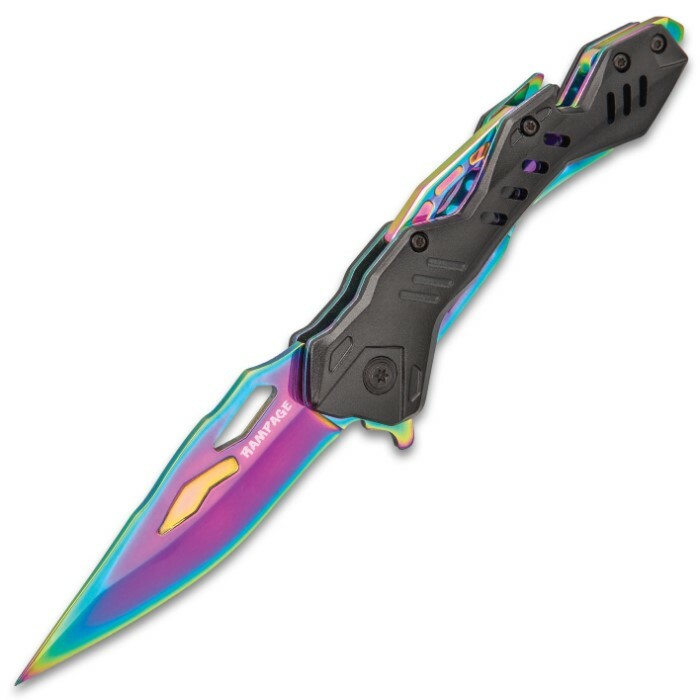 This knife looks mean, yet beautiful at the same time. The finish on the blade is smooth and the black handle is the perfect contrast. I just enjoy looking at this knife. I haven't used this knife much, yet, but when I have used it it works great. 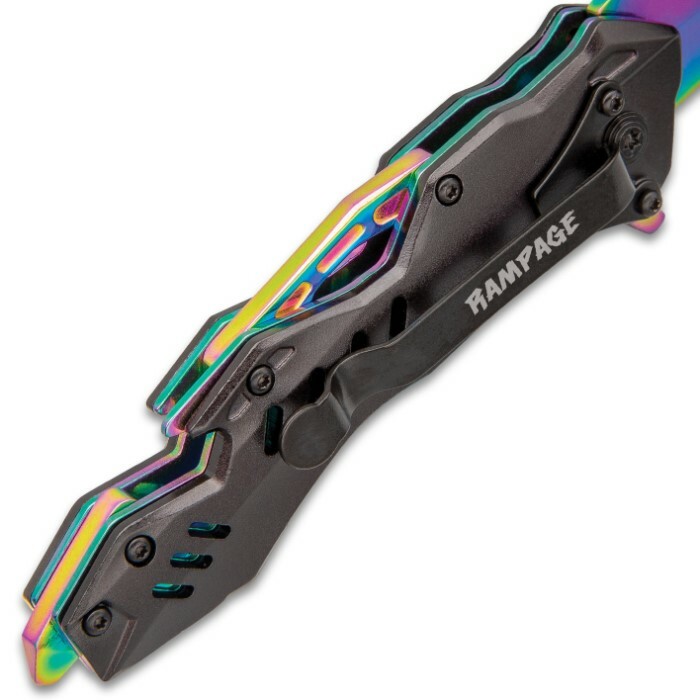 If you don't already have this knife, get it; even if just for show.